It's the 4th week of the month and that means Guest Muse! 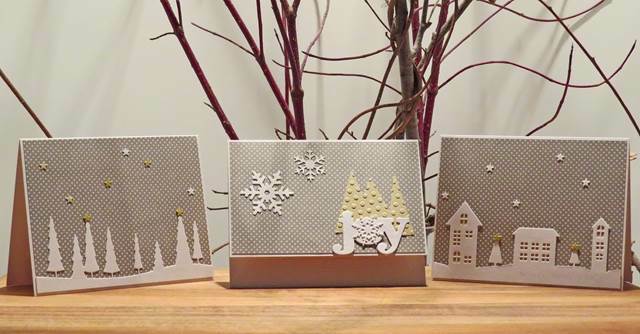 This week our Muse is someone who has stormed onto the cardmaking scene fairly recently! We see her amazing work all over our little part of the blogosphere and her kind and generous comments make us smile! Here's your Guest Muse for this week, Michele (i card everyone) Ferguson ! I could not have been more pleased, honored, or surprised to receive an invitation to Guest Design for Muse this week! Thank you so much, Ardyth! Remember, I'm the new kid on the blog. So here I go! Fingers crossed! I've been working diligently on my Christmas cards already. I couldn't be the only one, right? I make and send between 40-50 each year. I find I get really bored if I make even two of the same - but that's just me. Are you like that? Going through my stash of holiday papers, I found a few single sheets that I purchased after-season. Single sheets work well for me. I especially love the double-side ones. So, here is my challenge to you for this week: find a single sheet of designer paper- I'd like holiday paper, but if you're not into it, choose any - and create a SET of three cards, each different, but sharing a theme!! I do hope you have fun with this! I so look forward to seeing what/how you talented card-makers make!! Thanks Michele! What a fun challenge to get us started on our Christmas cards! Good luck with the move, Marianne... are you actually MOVING the house? Awesome! Thanks, Chriss... are you playing along? Hope so! Thanks again, Jacquie... I'm on the lookout for your cards! Great Challenge Michelle! Inspires me to use that PP! I'll be watching for your submission, Janet! This will surely be a challenge for me! I so rarely use patterned paper! !your set is lovely and I'm gonna do my best!!! What a wonderful surprise, Melissa! Thanks for taking it on, in spades! So GREAT Michele, you have everyone peering through their DP right now!!! I have joined in late tonight...so I thank you for this challenge!!! One can only hope, Kimberly! Thank YOU... I know this was probably a tough one for all you CAS queens of card-making!! But look how wonderfully you've all done!! Gorgeous Cards!! Wish I had time to play this week = sadly making three this quickly is too much on top of a crazy schedule! Bummer!! Good Luck to ALL!! Love the idea!! Let me try this again! I do hope, with the extra hour we get with daylight savings time, you'll get to play in your craft room a bit... I'd love to see your take on this challenge! I'm so heart-happy that you lovely ladies played cards with me at the Muse this week! Thank you!! WOW! I love all the admissions!! Wish my scrap area was unpacked so I could play along! So many amazing submissions this week. So difficult to only pick 3.